MASTECH, WACO, FLUKE, MOTWANE, KYORITSU, TES, LUTRON, MECO, SYSTEMS, STANLEY, HC, REICO, YU PUNE, CIE, CHY, MITUTOYO, METRO Q, UNO, RISHABH, DEVISER, MX, FUJIKURA, JDSU, INSTECH, FLORIDA, DBC, etc.. 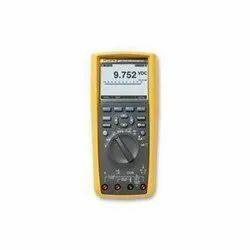 The Fluke 287 True-rms Electronics Logging Multimeter with Trend Capture quickly documents design performance and shows you graphically what happened. With its unique logging and graphing capabilities, you no longer need to download logged readings to a PC to detect a trend. The Fluke 287 packs more accuracy and convenience into a handheld multimeter than ever before, putting more problem solving power in your hands. 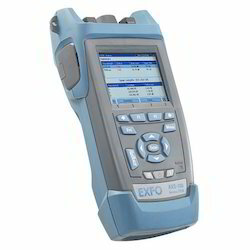 It is the ultimate handheld tool for demanding applications that require high-precision. 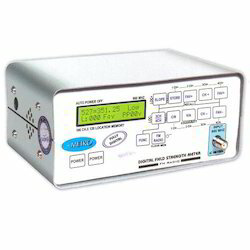 Large 50,000 count, 1/4 VGA display with white backlight for fast, accurate viewing. Event and trend recording. Helpful for troubleshooting intermittent problems or profiling loads. Explosion of data traffic by smartphone, renewal of back-bone network in accordance with the spread of FTTH (Fiber To The Home) network, and a series of new submarine cable projects in emerging countries build for basic telecom infrastructure drives the demand of fusion splicers. Fujikura 80S is the latest single fiber core alignment fusion splicer covering various splicing needs in those fields with a series of innovative features, such as automated wind protector / tube heaters, 7-second splicing and 14-second tube heating, ruggedized body, improved carrying case and etc. They are all for great splicing efficiency. Fully automatic operation - Splicing time < 7s, Heating time < 14s. Extended electrode life - > 3000 times. Automated wind-protector / tube heater for quick operation - World's quickest splicing / heating times by reducing splicing steps. Shock / dust / resistance features - World's first 6-direction 30 inch drop proof test, tough in harsh conditions. Wide color LCD monitor - High resolution 4.7 inch monitor with better visibility under the sun. Powerful Li-ion battery - 200 splice / heating per full battery charge. Pre-installed user guidance manual - From basic operation guidance to trouble shooting procedure. Innovative carrying case design with detachable working table. 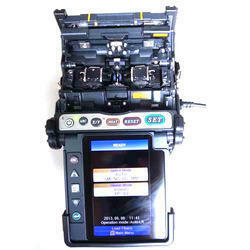 The Fujikura Fusion Splicer FSM-60R Ribbon Fusion Splicer offers unmatched versatility and reliability. 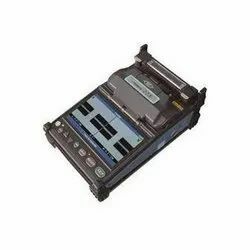 The FSM-60R ribbon splicer withstands a drop test of up to 30” and continues to splice. Enhanced, robust features enable the FSM-60R to resist shock, dust, and rain so that unfortunate environmental conditions do not negatively impact productivity. 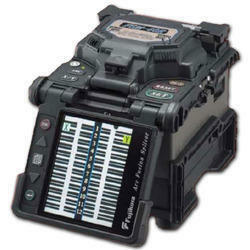 Equipped with a user-friendly interface and precision fixed V-groove, the FSM-60R offers 2 to 12 fiber ribbon splicing, as well as single fiber splicing capability. Automated features such as auto-start splicing, auto-start tube heater operation, automatic ribbon fiber identification and auto-arc calibration reduce operational steps and improve splicing performance. 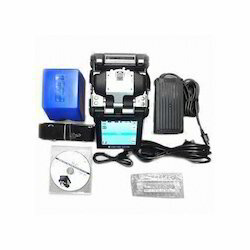 Additional improvements include automatic image orientation when switching the dual position monitor, a large capacity battery option and the ability to charge the battery during splicer operation. The Sumitomo’s Z1C is the future of splicing machine market due to its following features ultra fast splicing (7 sec), ultra fast heating (28 sec), low on its maintenance, touch screen, user friendly, universal clamps, automatic arc calibration, low weight, high data storage, shock resistance, water resistance, dust resistance, 64 images/10000 data storage capacity, provide 200* splice & heat cycle, remote upgradation, 300 splicing programs and 100 heating programs etc. 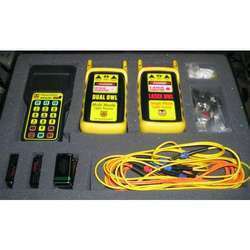 We are the leading supplier of fiber optic equipments and tool kit. we are offering all types these equipments and tool kit in various ranges. The NetBlazer series offers field technicians comprehensive, yet simple test suites to quickly and easily turn up, validate and troubleshoot Ethernet services, with full EtherSAM capabilities, from 10 Mbit/s to 10 Gbit/s. The Fujikura 22S active cladding alignment fusion splicer bridges the long standing gap between core alignment and fixed v-groove fusion splicer technology. Moveable v-grooves eliminate splicer errors due to dust and other contaminants. Despite its incredibly small size, this ruggedized, full-featured unit offers unmatched versatility for splicing in the most challenging environments. The innovative transit case and work tray provide multiple options for the best utilization of available work space while the long life battery provides power for up to 200 splice cycles which include application of the splice protection sleeve. The Fujikura 22S incorporates features typically found only in more expensive models. Removable sheath clamps allow the use of fiber holders if desired. 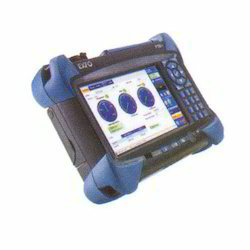 The large 4.7" monitor provides a crystal clear image, even in the brightest sunlight, for evaluating splice quality. The electrode life has been extended to 3,000 splices, minimizing downtime for replacement and stabilization. Software updates are accomplished via the internet allowing users to quickly update their software as new splice programs become available. The fully ruggedized chassis provides for shock, dust and moisture protection while the two camera observation system provides for accurate fiber alignment and loss estimation calculations. The Fujikura 22S is also fully compatible with the FUSEConnect® line of fusion installable connectors. Backed by the best service team in the industry, the Fujikura 22S is the ideal splicer to use when portability, ruggedness, versatility and reliability are needed for your splicing application.